Quintus Herennius Etruscus Messius Decius Augustus was Roman emperor in 251, in a joint rule with his father Decius. Emperor Hostilian was his younger brother. 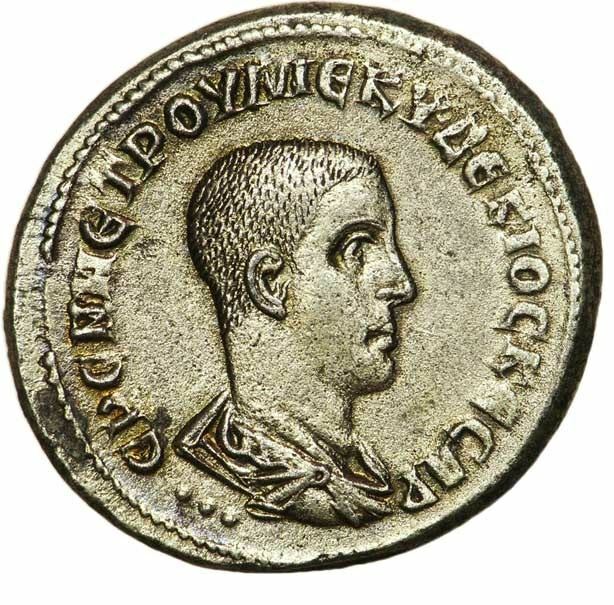 Herennius was made emperor in early 251, and accompanied his father on an expedition against king Cniva of the Goths, to punish him for several raids. Hostilian remained in Rome and the empress Herennia Etruscilla was named regent. Sometime during the first two weeks of June, the armies met at the battle of Abrittus. Herennius died in battle, struck by an enemy arrow. Decius survived the initial confrontation, only to be slain with the rest of the army before the end of the day. Herennius and Decius were the first two emperors to be killed by a foreign army in battle. Hostilian survived, but died soon after from the plague.